Most illustrators have this great library of art and illustrations that’s just sitting in their computer collecting dust, in this guide I’ll show you how you can earn a extra income by selling your art online on different products like t-shirt, phone cases and more via shops online. 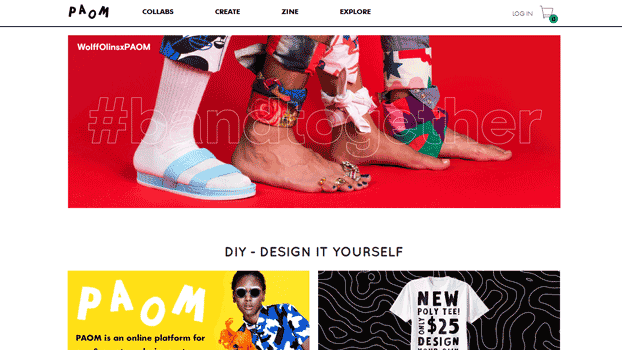 In this guide we’re going to talk about Print-On-Demand shops that let you upload your designs on their site and then start selling products with your illustrations and design on them. 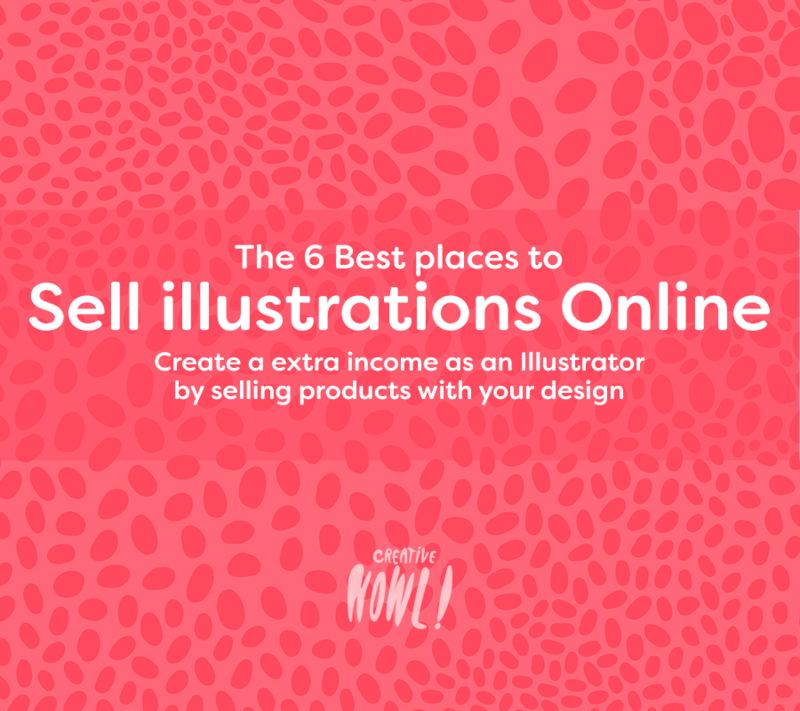 It’s a great way to earn a passive income as a illustrators, designers or artist just because it requires so little effort, after you upload your work the shops do everything ells for you, no need to ship products or deal with customers. This guide contains affiliate links, using them will earn Creativehowl a small revenue, use them to support the site. For each sale you’ll earn a small commission, what that commission is varies from site to site but generally speaking it’s around 20% of the sale price. Some shops let’s you choose the price of a product and how much you should earn from each sale, and other sites has a fixed commission that you earn for each product sold. Another important aspect of these sites is that you’ll never lose the right to your work by uploading and selling your illustrations on their platform. 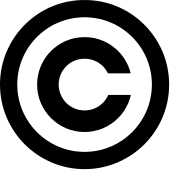 With all the sites on this list you’ll keep 100% of the rights to your work. If you’re planning on using a similar site that’s not featured on this list I strongly advice you to double (and triple) check if you get to keep the full right to your work, even if it’s very uncommon I have in the past encountered several sites that will gain the right to your work once you starting to selling your work on their platform , so beware. There’s affiliate links in this guide, click them if you want to support the site, otherwise don’t. 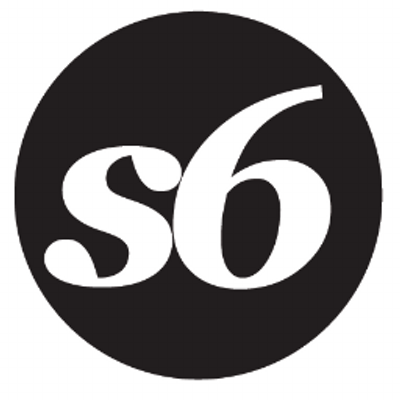 Society6 is one of the bigger shops around and has a large selection of different products that they sell, phone cases, prints, pillows, notebooks and much much more. They offer world wide shipping at reasonable shipping costs. When it comes to art prints you decide what your profit for each sale should be, for other products the profit you’ll make for each product is decided by Society6, it varies from a few dollars for the cheaper products like notebooks, and up to $10+ for products like Duvet Covers and Blankets, you’ll find the whole pricing list over at their website. 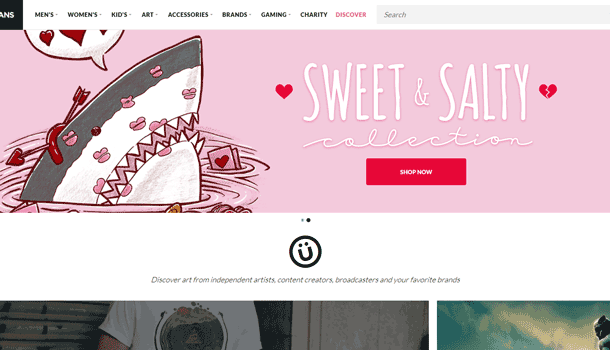 Once you upload your work to Society6 you can decide which products you want to sell your illustrations as, for some products you’ll have to upload separate files with other dimensions. Threadless has been around for a long time and in the past illustrators and designers would compete for the chance to have their work sold in their store, that part of Threadless is still there but they also opened up for any Illustrators, Designer or Artist to have their own store to sell work through their shop. 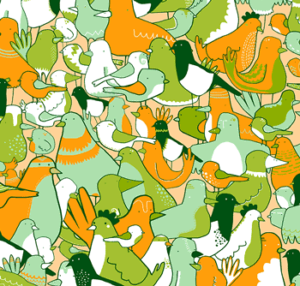 Threadless has a one of the biggest selections of different products, so expect to be order whelmed by the sheer diversity of products that they offer. 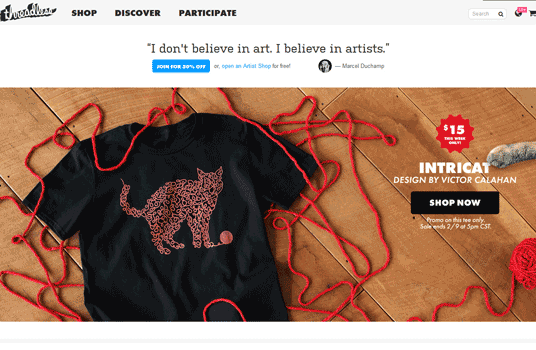 What makes Threadless stand out from the rest of the shops on this list is that you get your own shop on their platform, you get plenty of design options on how your shop should look like, you can brand it and customize it to look just like you want. How much do Threadless pay? 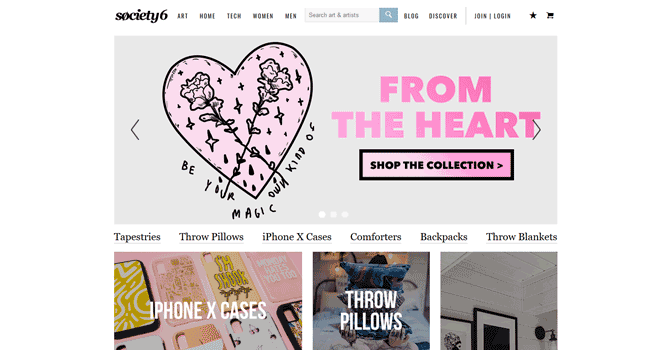 Threadless let’s you set your own profit margins, each product has a base cost and then you add your profit on top of that, you can find the full list of products and their base cost over on their site. I would say that this kind of commission model suits designers that have their own following the best, then you can set your own (high) price and don’t have to compete with other sellers and their price tags. 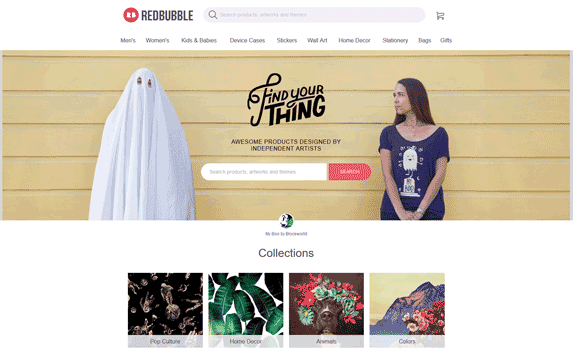 Redbubble is another huge site that let’s people buy a bunch of different products with artists design and prints on. Here’s a few of their products that they sell on the site, t-shirts, bags, prints, stickers and cases for devices (laptops, phones). Redbubble let’s you set your prices yourself, there’s a base price that every product cost, they then let you add what ever profit margin you like onto the price, and that’s what you earn. My advice would be to see what everyone ells is selling their products for, you don’t want to have that one product that’s much more expensive then everything ells and at the same time you want to earn a fair amount of money for each sale, it’s very much a balancing act. Redbubble has treated me good, they shown my work on their front page under Featured Artist and as well on their Instagram, and that really boosted my sell for awhile which was nice. If you’re going to start using Redbubble my advice would be to spend some time making a basic profile, with your social media links, a short introduction about yourself and your work and make it pretty with a banner/profile picture, this will show Redbubble that you’re serious about selling on their platform and might make them more likely to feature your work. 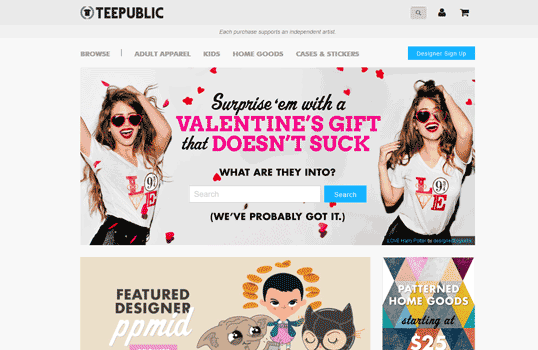 Teepublic is store mainly focused towards selling cheap quality t-shirts, but they also offers other products much like the rest of the stores on this list (mugs, pillows and stickers to name a few). They also have a feature called “Commission a Designer”, where they make it easy for customers to contact designers on the site for requests or commissions, the feature feels very undeveloped at the moment, but it’s a nice idea to help connect designers with the customers. As a designer you’ll get paid around $2-4 for each sold product, the commission changes from product to product, and you can find a full price list on their site. Designbyhumans offers mainly clothes like t-shirts, tops and hoodies, but they also have some other products like phone cases and prints. You get your own store front on the site where all your work will be displayed. They offer worldwide shipping which is also a huge plus. Design By Humans is free to join but you have to apply in order to start selling here, this is great if you ask me, this helps keeping the quality of the designs and illustrations in the store high, but don’t let the applying process scare you away, applying is as easy as signing up, all you need to do is provide a link with some of your work, like a portfolio or blog. What’s the commission on Design By Humans? DBH pays around $2-6 for each product sold, it varies from product to product, for t-shirts they pay $3/sold product and the art prints you’ll get $2.5-6.5 depending on the size of the print. Full list can be found on the sign up page when opening a shop. Print all over me is a clothing store that specialising in clothes that have prints all over them, other shops have a limited area where your print design will appear, on PAOM the whole clothing can be covered in print, it’s a perfect place for pattern designers to sell their work or anyone who loves patterns. 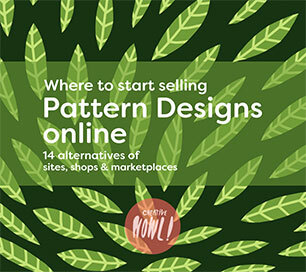 They have tools to help you create designs for PAOM, so you don’t need to be a pattern designer to sell your work here. 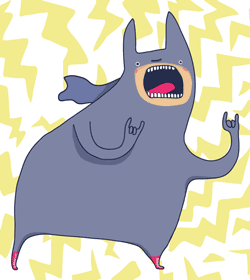 Selling your illustrations on PAOM is free for anyone. There’s also a PAOM Pro option that let’s you create your own brand in their store, with your own labels and branding. PAOM Pro cost $20/month with a $75 setup fee. You’ll get 20% of the sale if you want cash or you can choose to get store credit instead, then you’ll get 40% of the sale price. It’s a great option if you want to get some of your own clothes from the store (or something ells), 40% is by far the highest commission on this list, but then you’ll “only” get store credit. 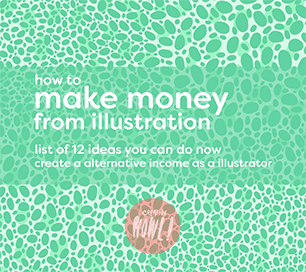 Here’s some extra advice for anyone starting out selling their illustrations online. Also browsing around in the store and look how other people have named their designs is a good start to get some ideas. I sold t-shirts with a drawing of a character that looked similar to Batman, I decided to name it and tag it with Batman, and even though the resemblance between the real Batman and my super hero wasn’t even close, it got taken down for copyright reasons, if I instead would have named my illustration “Superhero” or something similar, it would have never have been taken down for that reason. I’m no expert when it comes to these kinds of things but I thought I would share my experience and then you can make up your own mind about it. What site should you start selling your illustrations on? I recommend all the shops on this list so any one of them is a great choice, there’s also nothing stopping you from selling on all these shops, the main issue is time, it takes a lot of time and effort to upload your work on all of the shops. Different shops wants you to upload your art in different formats and sizes, and making all the files and naming them can take a lot of effort. That’s why I suggest you start with one shop and later you can join more shops if you like, check out each of the shops on the list and see which suits you the best. If you’re planning to upload and start selling on more then one site I suggest you first write down what size and format your files should be uploaded on each site, you can even make a Photoshop template with the correct file size, just open the template, drag in your illustration and save it. It all depends on how many illustrations you’re planning to upload, but making it the upload process as smooth and easy as possible will save you a lot of time, preparation is key! Include links/pictures of your products in your portfolio, if you have a illustration in your portfolio that you also sell as a product you can easily include that product next to the illustration, letting people know that they can buy it if they like it. Shops have promotional deals all the time (free shipping, discounts), these are perfect opportunities for you to promote your own stuff. Tell your followers on social media that there’s a special deal on your products and they may be more inclined to make a purchases. If you’re signed up on a site you typically get newsletters when new discounts or deals are happening.